I wanted to bring to our readers’ attention a wonderful new book that is not about international law, but is about a great international lawyer. Judge Thomas Buergenthal’s memoir, A Lucky Child, has just been published in the United Kingdom and the United States. It had previously been published in Germany, where it has been a bestseller, and in several other European languages. 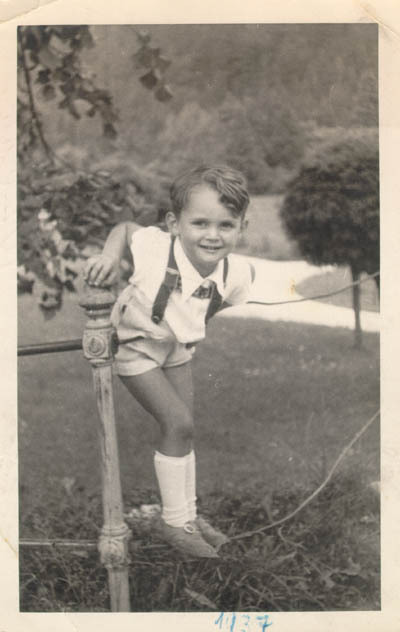 In the book, Buergenthal tells the story of his survival as a young boy of the horrors of Holocaust. In that, of course, his story is one shared by so many millions – from the flight of his family from Slovakia to Poland, to their life in the ghetto of Kielce, up to their transport to Auschwitz. What is unique about his story is not just his telling of it, which is formidable, and of course that he lived to tell it, but the very number of occasions where the young boy’s survival was determined not only by his wits and the people who were there to help him, but by sheer luck. It is hard to describe a person who found himself in Auschwitz as ‘lucky’, but Buergenthal himself has no better word for it. From the fact that there were none of the infamous selections on the day he arrived in Auschwitz, to his survival of the death march when the camp was being evacuated, to an almost fantastic episode when the 11-year old was adopted as a mascot by the advancing Polish soldiers who took him with them to the Battle of Berlin (giving him his first taste of vodka in the process), up to him being discovered by his mother in a Polish orphanage after the war — there can be no doubt that otherwise fickle Fortune was constantly at his side. Though the narrative is often depressing and will bring you to tears, it is a message of hope that will stay with you once you put the book down. One can only be grateful that such a man now sits in the Peace Palace in The Hague. Buy the book and read it, and be wiser for it. (Amazon UK, Amazon US). Thanks Marko, for drawing our attention to this publication. I read the book a while ago (in German) and certainly agree with you that it is a wonderful book on a great international lawyer. It’s indeed a gripping story that will captivate you even you have read other stories from Holocaust survivors.